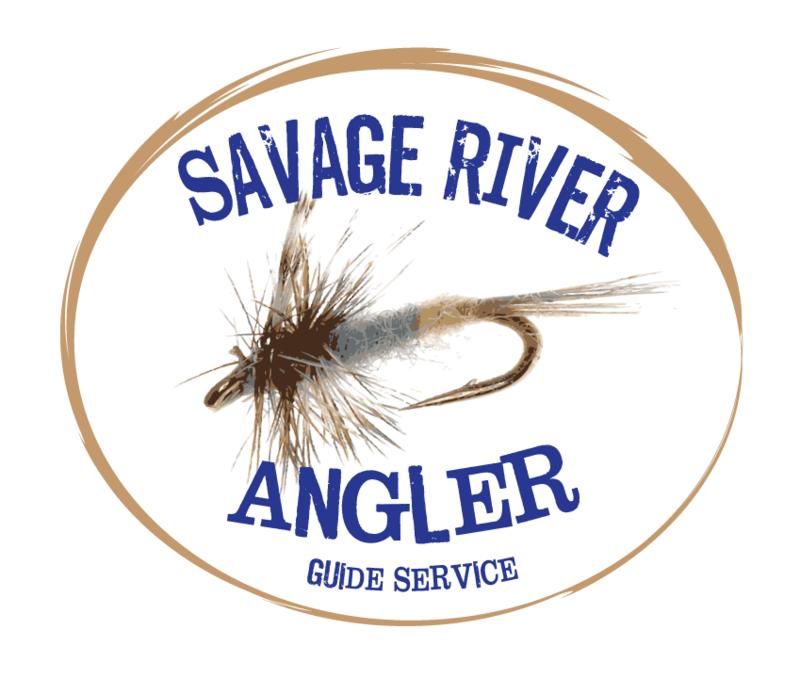 PJ Daley, owner/operator of Savage River Angler LLC, has been fly fishing since he was big enough to stand in a trout stream. He is willing to share all the knowledge he has gathered during that 35 year period. The western Maryland region has been his home turf for the last twenty or so years. Being a naturalist by education ensures that guests will learn about the flora, fauna, and wildlife of the region while enjoying time on one of the many streams in the region. In 2007, PJ accepted the Orvis Endorsed Guide Service of the Year award while operating a guide service at Wisp Resort. PJ was nominated as the Orvis Trout Bum of the Month last year. 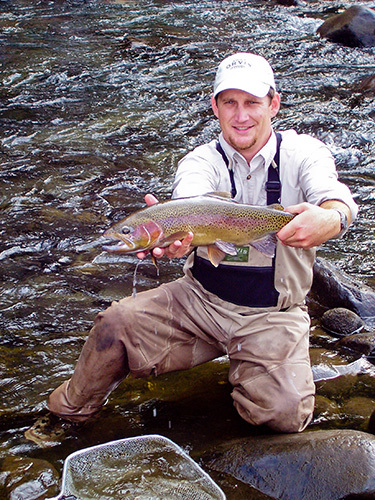 He has also been featured on Maryland Public Television programs, along with many magazine and newspaper articles on fly fishing western Maryland. During a day on the water with PJ, you will quickly learn that his greatest passion in fly fishing is catching fish on the surface. “That’s the essence of it all”, he will say as he hoots for you as you play the fish you just hooked up with. There is nothing like watching a wild brown trout sip down a #24 midge on the lower Savage. Likewise, he finds it just as exciting watching a trophy bass hammer a deer hair bullfrog. It’s all about the visual. The reward is knowing that after a long day you have turned somebody into a more knowledgeable, better angler and made a new friend. On days off from guiding, you may find PJ in the spring turkey woods followed by a trip to the lower Savage to fish for trophy brown trout. More often, he comes home with a sack of wild edibles like wild mushrooms or ramps than a turkey. Whenever he gets a chance to get away, you might find him at the beach surfing or surf fishing. In the winter months he loves to snowboard and works as a ski patroller at Wisp Resort. No matter the season or weather, PJ is happiest outdoors and sharing it with others.